Good Morning! Back today with another share, this time from Rainbow Splendour, who is gearing up for a sale this week too! Gorgeous aren't they?! Well I have created pages using both kits and inspiration from each board and today I will share my Wild Adventure page. 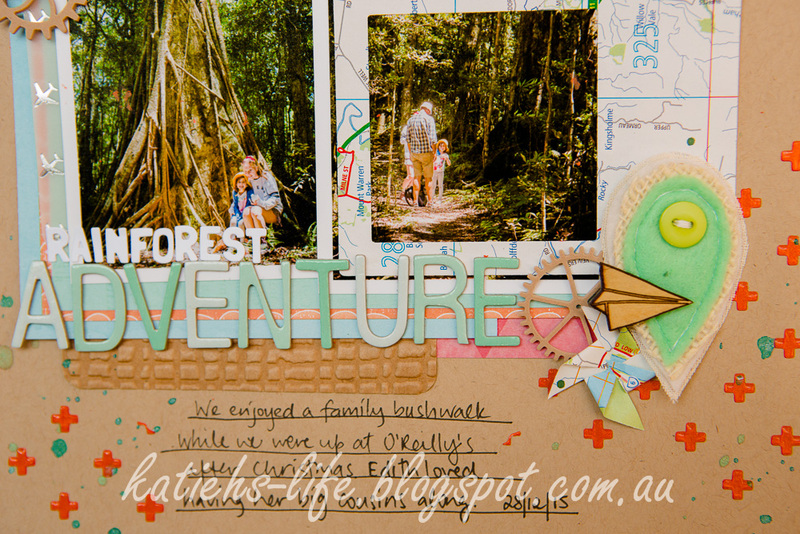 I was inspired by the idea of adventures and the colour palatte and used a photo of a family bush walk. 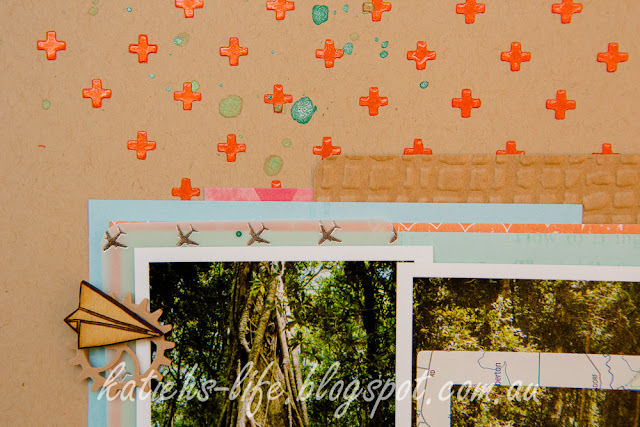 Can you see all the lovely bits from the kit?! 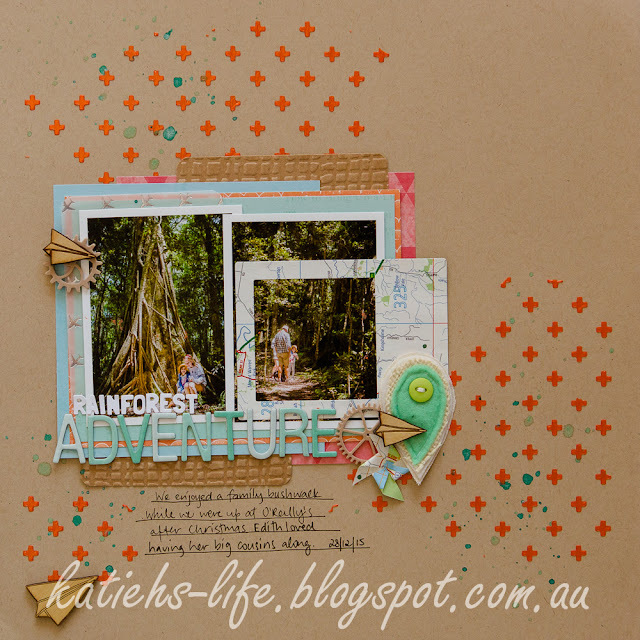 There is the wood veneer planes, the map pinwheel and frame, the plane vellum and embossed card. And the great thing was there was still left overs and I will be able to create at least another page with those bits and pieces! I love the texture from the embossed card. And I have added in a Charms Creations in one of my new favourite colours, sea green, not to mention the awesome cogs that match perfectly from Burdy's Embellies. Loving this tangerine dream texture paste from Colour Blast, such a vibrant colour! 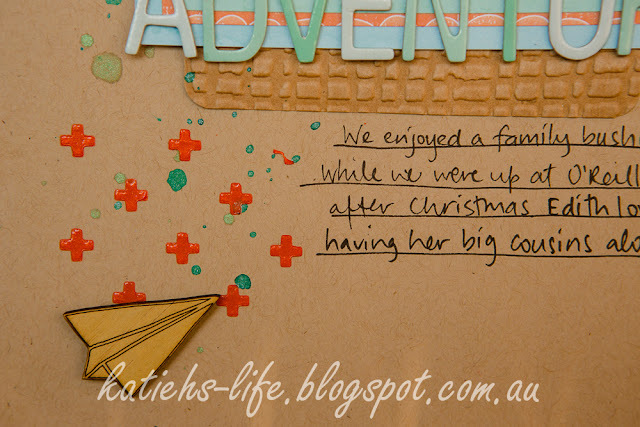 Aren't these wood veneer planes just too cute! Perfect for little boys pages or travel pages or just about anything really!